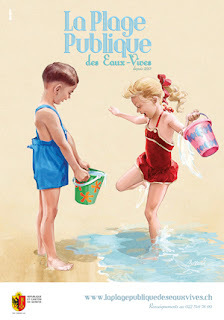 Driving around Geneva recently, I kept seeing these wonderful posters, reminiscent of the CÃ´te d’Azur in the 1950s. 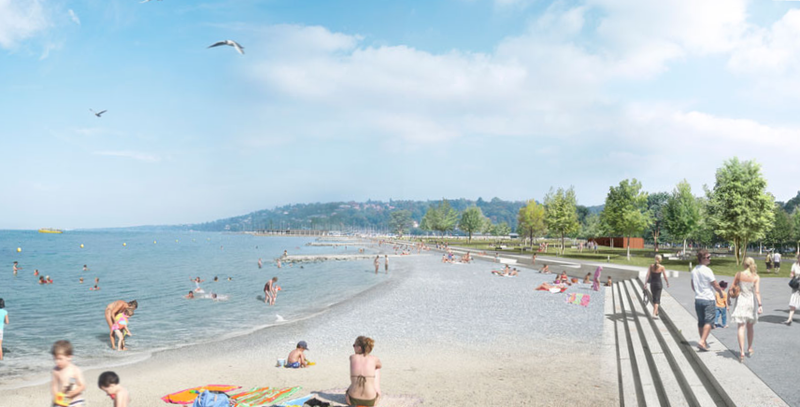 I was unaware that there was a beach at Eaux-Vives, knowing only the little beach at Baby Plage that I blogged about not long after we arrived in Geneva. 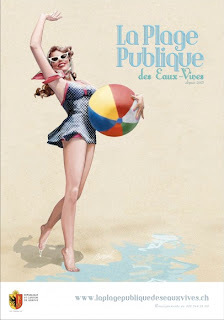 When I got home, I looked up the website from the posters and found that it is an advertising campaign to inform Genevans about the new development between Baby Plage and the Port -Noir. 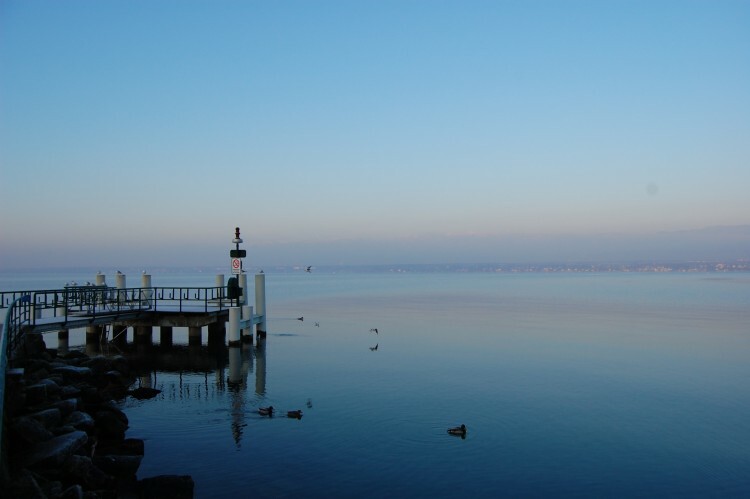 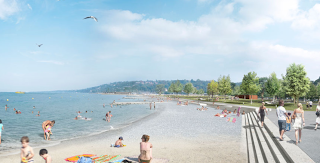 Geneva council recently voted to approve the development which shall encompass a public beach with cafes and a new port with moorings for over 600 boats. The council meeting must have been fun as apparently le magistrat Vert wore a hawaiian lei, sunglasses and brandished a pair of flip-flops. 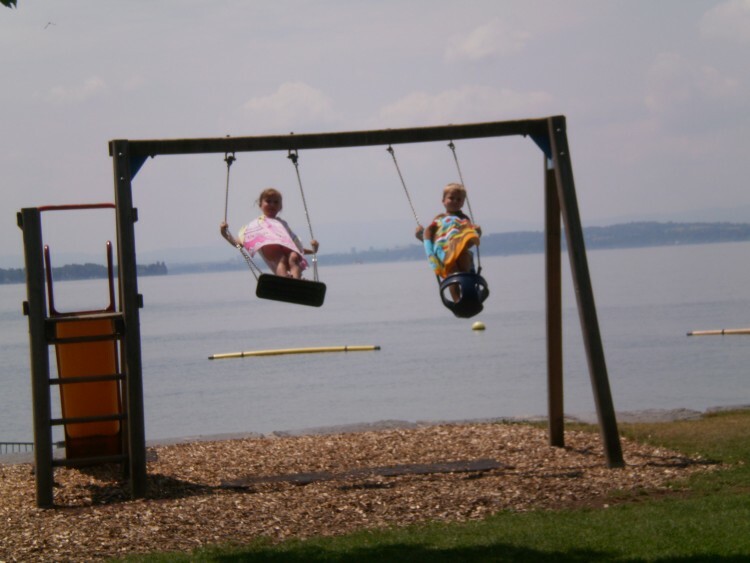 Not very Swiss! The photos certainly look impressive. 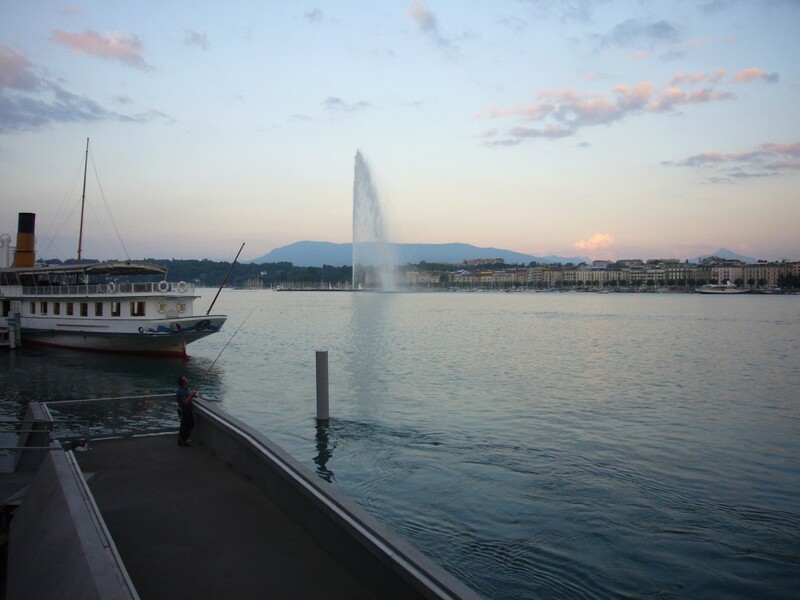 This development will, in conjunction with the proposed development at Geneve Plage and the boat harbour, transform Geneva’s waterfront. 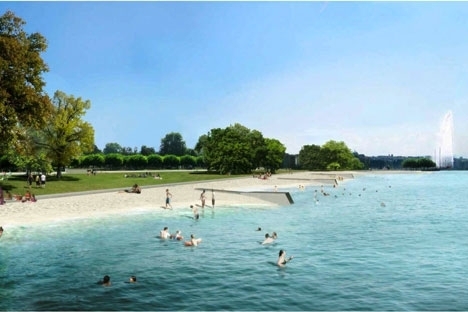 The total cost is said to be over CHF 60million.The Plage des Eaux-Vives part of the development is due to be finished in Summer of 2013.